China has once again showed its greater ability to compete with advanced products and technologies on a global scale. Soon the term ‘Made in China’ will not necessarily mean products of dubious quality and low price. Proof of this is the increasing interest in Chinese high-speed trains (gāotiě), the growing demand for which also shows the effectiveness of China’s foreign policy, which actively promotes the country’s economic priorities. 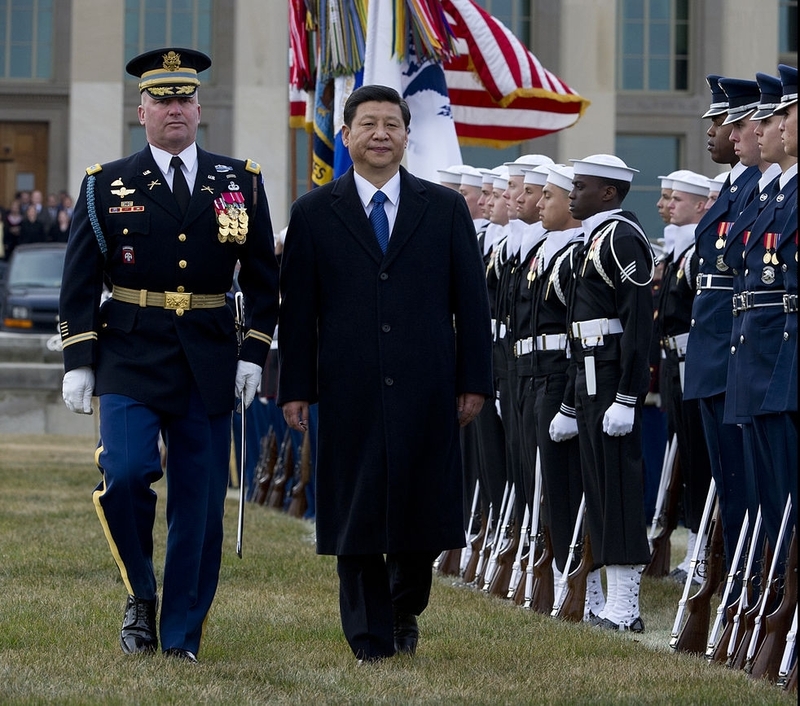 China’s so-called “high-speed diplomacy” is gaining momentum. China is the most populous country in a world where railways are the most effective and cost-effective means of transportation. Developing this means of transport may be one of the key conditions for maintaining rapid economic development in the times of the so-called “new normal”, i.e. a significant slowdown in GDP growth observed since 2012. High-speed rail also fits into the ‘One Belt, One Road’ initiative promoted by the Chinese leaders. This initiative refers to the historical concept of the Silk Road, and aims to boost trade through the development of transport infrastructure along the trade routes from China to Europe. Since the launch in 2008 of the first 130-km section of high-speed railway between Beijing and Tianjin, China has constructed another 16,000 km of high-speed rail (of which 6,000 km is designed to handle trains moving at speeds of up to 350 km/h). This represents the largest network of high-speed railway in the world (second in line is Spain possessing high-speed rail network of approx. 3,800 km). The most important connections include routes between Beijing and Shanghai, and the ones connecting Beijing, Guangzhou and the Chinese manufacturing hub in the city of Shenzhen. Of crucial importance is the “Lanxin” railway from the centrally located city of Lanzhou to the city of Urumqi, located in the Xinjiang Uygur Autonomous Region in western China. With total length of approx. 1,700 km Lanxin is the longest high-speed connection in the world. The two most important companies responsible for the development of high-speed railway technology are China CNR Corporation Ltd and CSR Corporation Ltd. Over the past several years, these companies have developed a competitive product offer, on the basis of joint ventures with such giants as Bombardier, Alstom, Siemens and Kawasaki.In 2015, Chinese authorities announced their decision to merge the two companies. This decision is part of Beijing’s plans aimed at creating so-called national champions, capable of competing on an equal footing at the global market with competitors from western countries. As a result of the merger, the CRRC Corp. will hold a hundred percent of China’s market for the production of locomotives, high speed trains, railway cars and subway cars, which will strengthen the market position, and eliminate the current phenomenon of brotherly competition for contracts between Chinese companies. Since the entry to the World Trade Organization in 2001, Chinese authorities initiated a program of opening up to the world, which aimed to change the nature of the domestic economy. The change was about moving away from labour-intensive production of low added value to one more advanced and knowledge-based. The most important tools of this strategy were mergers and acquisitions (M&A) undertaken mostly by stated-owned enterprises (SOEs), or companies backed by Chinese state-owned banks supporting domestic entrepreneurs with cheap credit (including the Exim Bank of China, China Development Bank). In pursuing this so called “go global strategy” an important role was played by central government. Both the President Xi Jinping and the Prime Minister Li Keqiang have actively promoted Chinese business worldwide. Because of the substantial promotion of Chinese high-speed rail technology the concept of Chinese high-speed railway diplomacy (gāotiě wàijiāo) has been created. Broad and comprehensive support for obtaining contracts for the construction of high-speed railways has become a specialty of Chinese leaders, particularly of former Prime Minister Wen Jiabao. At present, China is conducting talks on the construction of high-speed rail and supplying with high-speed trains more than 20 countries in the world including Brazil, Nigeria, Pakistan, Russia, Serbia and Thailand. The most important projects are being prepared and implemented in the region of Southeast Asia and Central Africa, Latin America and Europe. The regions of Southeast and Central Asia seem to be a priority from the point of view of China’s political and economic interests, because, firstly, it is crucial for securing access to natural resources, mainly oil and natural gas from the areas of Myanmar and Azerbaijan. Secondly, the development of infrastructural connections in the region is the vital interest of China in the framework of proposed the ‘One Belt, One Road’ initiative. Thirdly, it is important to strengthen the geopolitical position of China, which will allow it to better balance the influence of global powers (the U.S.) and regional ones (India and Russia). In this region, China has invested in a 3,000 km long railway line from the town of Kunming in southern China (Yunnan province) to Singapore via Laos, Thailand and Malaysia, estimated at 75 billion USD. The investment aims to provide China with a greater political influence in Southeast Asia, and create another important economic center in the region in the city of Kunming by 2021. During the visit of President Xi Jinping in Pakistan in April 2015 an extensive package of Chinese investment in transport and energy sectors was announced (the so-called China-Pakistan Economic Corridor – CPEC), estimated at a total sum of 48 billion USD. In the case of Central Asia, China is seeking to extend the outgoing railway line from the capital of Xinjiang – Urumqi, through Kyrgyzstan, Tajikistan, Uzbekistan, Turkmenistan, Iran, Turkey, to Bulgaria. The railway line, expected to cost 150 billion USD and run to 6,000 km, should be fully functional by 2030. Then China shall be able to diversify the supply of strategic raw materials, and will ‘internationalize’ Xinjiang, which has been partially torn apart by the separatist movement and Islamic fundamentalism. Thus, China would increase the flow of the Han ethnic population from the east to a region that has been disturbed by autonomous trends. Given that this would be the second most important trade route for Xinjiang, after the Kashgar-Gwadar corridor, it could make the region an important strategic point on the map of China. Africa, suffering from significant underdevelopment of infrastructure, is in turn an important source of natural resources. The Chinese are involved in several projects on the continent, including the 609 km section of the railway line linking the port of Mombasa and the capital of Kenya, Nairobi. The project, negotiated at the highest level with the participation of the current Prime Minister Li Keqiang, amounts to 3.8 billion USD, 90 percent of which is financed by the Exim Bank of China. Another important project is the construction of the 1,400 km railway line from Lagos to Calabar in Nigeria. Although constructed for this line (to cost 12 billion USD) will be adapted to handle connections with a speed of 120 km/h, it constitutes another important foothold for further expansion in this region. Until now, the only fully functioning rapid rail line outside China built with a significant participation of Chinese companies, is the line of over 500 km from Istanbul to Ankara in Turkey. The line is part of the ‘One Belt and One Road’ initiative on the Turkish section of the route from Asia to Europe. Another important segment for the Chinese project is the connection between Belgrade and Budapest. It is the first Chinese high-speed rail project in the EU, which is scheduled for completion in 2017. To finance this project the Chinese intend to allocate between 1.9 billion and 3.1 billion USD. It has a high priority on the economic map of Chinese foreign policy in Europe. This is especially significant considering the fact that they are already planning to extend the connection through Macedonia (Skopje) to the Greek port of Piraeus, managed by a Chinese company COSCO. In Latin and South America China has been involved in projects in Venezuela (a 460 km railway line adjusted to the speed of up to 250 km/h between cities of Tinalco and Anaco) and Argentina (supplying rolling stock worth 270 million USD). In the case of a contract for the construction of the 210 km line between Mexico City and Queretaro, a tender won by Chinese firms was eventually cancelled. After a firm response from the authorities in Beijing, the Mexican authorities announced that a tender would be put out again. The visit of Prime Minister Li Keqiang in May 2015 in Brazil, Colombia, Peru and Chile has resulted in extensive investment plans of China in the region. Particularly interesting seems to the project of 3,500 km transoceanic railway line connecting two ports situated on opposite sides of South America: the Brazilian port of Santos and the Peruvian port of Ilo. Meanwhile in Rio de Janeiro Chinese subway cars have already been waiting for the arrival of athletes and fans for next year’s Summer Olympic Games. High-speed railways have become an important component of the economic dimension of Chinese foreign policy, especially in the context of projects realized on the routes of the ‘One Belt and One Road’ initiative in South and Central Asia, as well as those in the Middle East and Central and Eastern Europe. China has skillfully built a community of economic interests with the countries of these regions, thereby achieving long-term political objectives that include: balancing economic development of the country by enhancing the role of regions (e.g. Xinjiang) and cities situated in the west (e.g. in Kunming, Urumqi); diversification of supply routes of energy resources (e.g. from Turkmenistan); and becoming trade independent in the Strait of Malacca, by a broad package of strategic investments as part of CPEC in Pakistan, yielding an alternative transport channel toward the Arabian Sea. The development of high-speed rail may give impetus to changing the way Chinese products are perceived in the world. With the implementation of a number of investment projects China has gradually burst onto the consciousness of world consumers with a message of increasing quality and relatively cheap technology. This change of perception of products ‘Made in China’ is of vital economic interest of the authorities in Beijing, as it will increase the demand for more sophisticated products with a higher added value created in the Chinese economy. Poland should seek to modernise its national rail infrastructure using Chinese technology, particularly in the context of the “One Belt, One Road” initiative which passes from the territory of Russia and Belarus to Poland, and continues in the direction of Western Europe. Locating in Poland a regional trade and logistics centre connected to the fast rail network may bring tangible economic and political benefits for the national economy. On the one hand, it may facilitate the export of Polish products to Central Asia and China; on the other hand, it will strengthen the role of Poland as a representative of the interests of the region when dealing with China.